Applicant pool is the largest in college history. Five hundred and fifty-five students were accepted into the Class of 2021 Wednesday, selected from a record-large pool of 1,999 applicants. The admitted students will form around 47 percent of the incoming class. Compared to last year’s early decision admits, the Class of 2021 had a higher number of students in the top 10 percent of their high school classes in addition to higher average scores on the ACT and SAT. This year’s 27.8 percent acceptance rate is an increase from last year’s 25.6 percent. The overall number of applications went up by 3.7 percent. The results were released online to applicants. They will have until Dec. 21 to submit their enrollment forms to the College. Of the accepted students, 31 percent are students of color, 8.3 percent are foreign citizens and over 10 percent are first-generation college students. 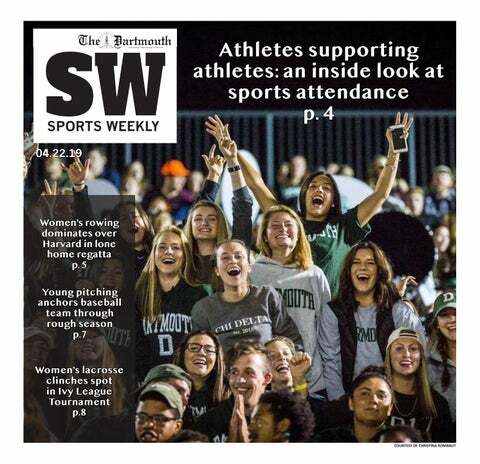 Legacies, or students whose parents attended Dartmouth, make up 16 percent of those admitted. The admitted students also include the most from the Questbridge program for Dartmouth’s early decision process. Twenty-six were admitted this year, compared to an average of three to six in past cycles. The national organization identifies strong students from low-income backgrounds and matches them with top schools. Fifty-two percent of the students have applied for financial aid—up from 48 last year—while at least 11 percent are eligible for Pell Grants. There are students from 45 states in addition to Puerto Rico and the District of Colombia alongside 22 countries, with the largest number of students hailing from California. Thirty-four percent of the students attend independent schools, 13 percent attend religion-affiliated schools, and two of them have been home schooled. Three students were accepted through Bridge2Rwanda, a program that matches Rwandan students with schools in the United States.